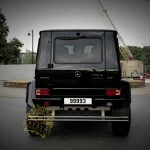 “Hey dude, your car is HUGE!!! 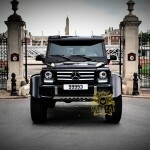 Be warned this vehicle is not for the faint hearted! 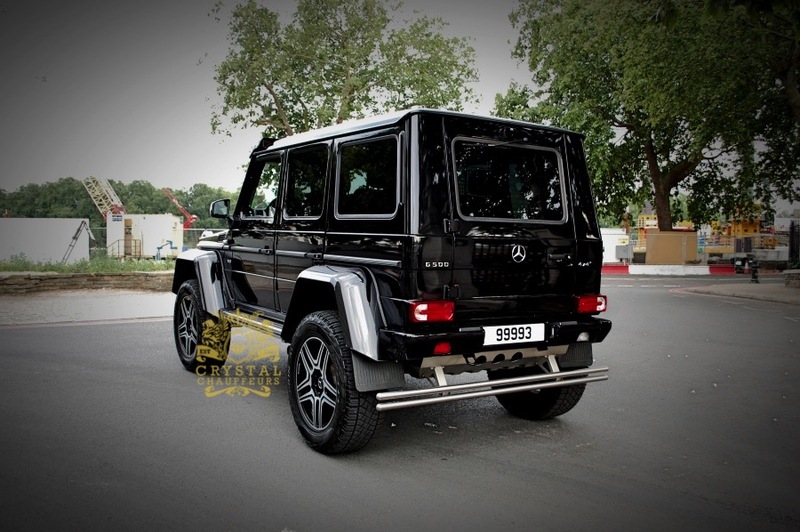 Its a vehicle where money is no object.. from fuelling up this beast to maintenance and hiring their is nothing cheap about it.. the Mercedes G500 4×4 Squared is available chauffeur driven and self drive for long term contracts. 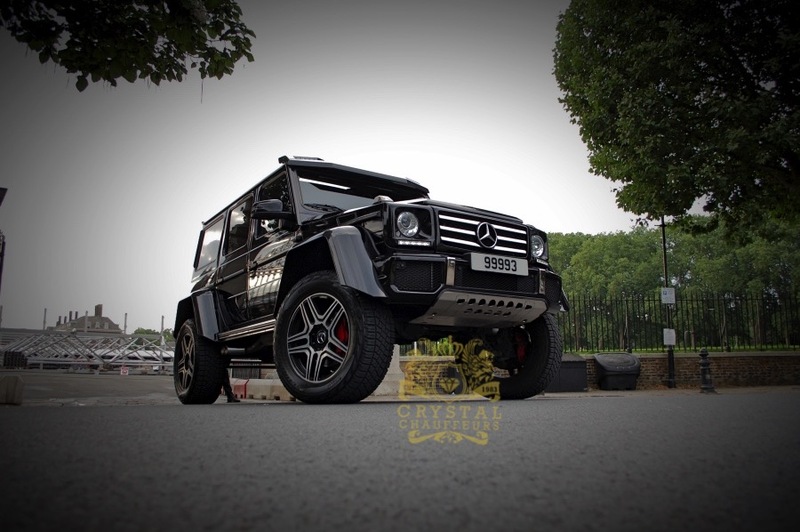 At crystal Chauffeurs our Mercedes G500 4×4 Squared is a little rare being no other other on the road. 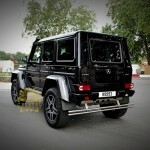 Finished in Metallic Black paint, Carbon Fiber arches, chrome accessories and cross stitched leather. 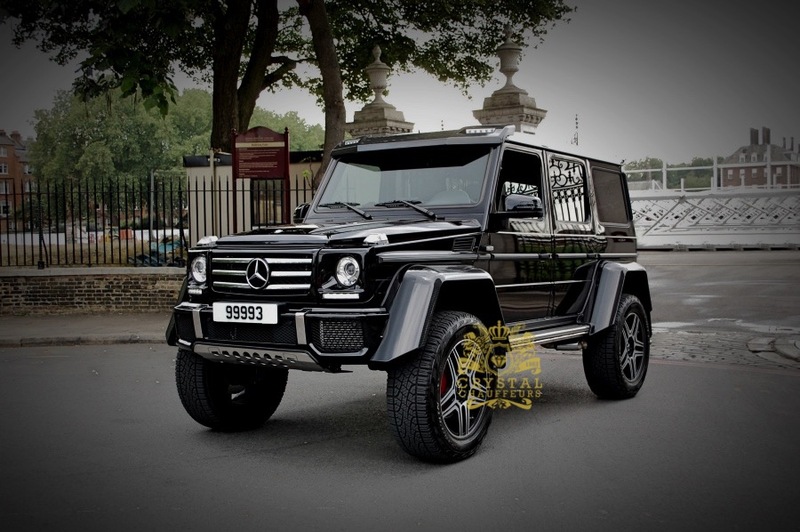 Our Mercedes G500 4×4 Squared can be hired for Wedding Car Hire, Chauffeur Car Hire, VIP Car Hire, Prom Car Hire, Music Videos, Photo Shoots, Airport Transfers, Sporting Events, Corporate Events, Funeral Car Hire, carry of Personal Body Guards and any other Ground Transportation needs. 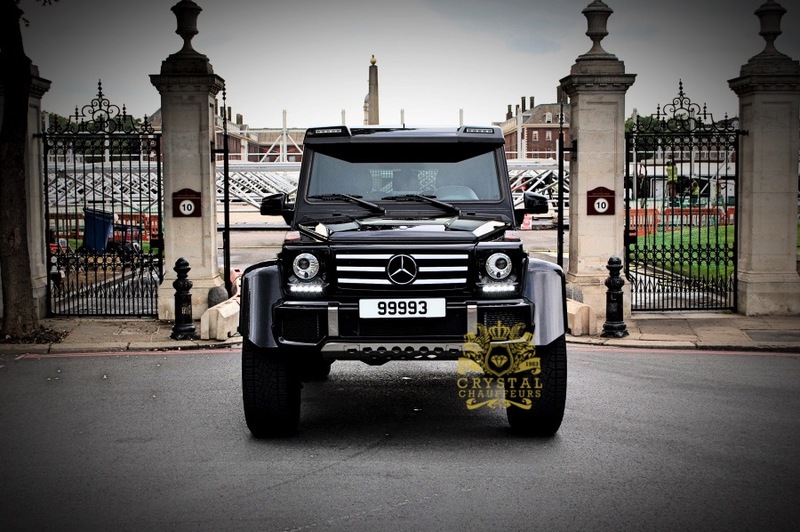 Being one of the most elite, versatile and exclusive Luxury vehicles on the road today the Mercedes G500 4×4 Squared is used by many high profile and celebrity clients. Crystal Chauffeurs are proud to offer this vehicle anywhere within UK chauffeur driven and are fully insured for European Travel. 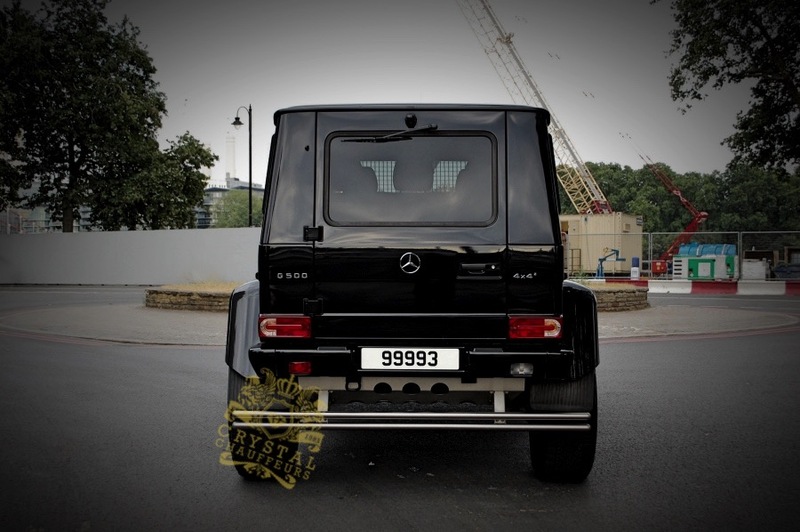 Some areas we cover are London, Milton Keynes, Bedford, Kent, Luton, Knightsbridge, Kensington, Canary Wharf, Essex, Mayfair & surrounding areas. 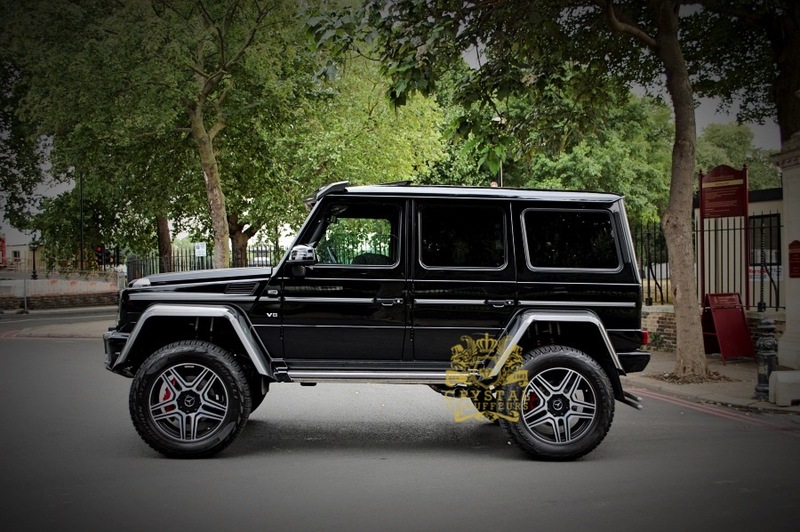 Our Mercedes G500 4×4 Squared can be hired for Wedding Car Hire, Chauffeur Car Hire, VIP Car Hire, Prom Car Hire, Music Videos, Photo Shoots, Airport Transfers, Sporting Events, Corporate Events, Funeral Car Hire, carry of Personal Body Guards and any other Ground Transportation needs. 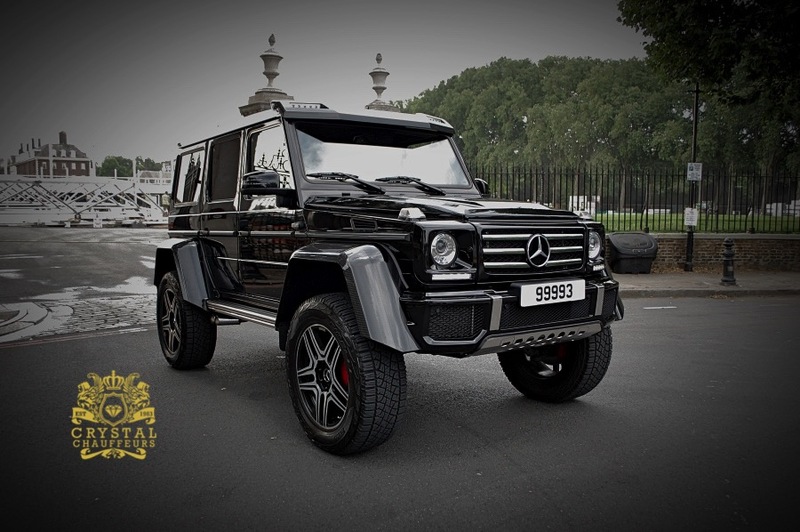 We boast a fleet of carefully selected high-end performance cars, backed up with a service that is second to none. Our Luxury car hire fleet includes the likes of the new Lamborghini Aventador S, Ferrari 488 Spider, Range Rover SVR, Lamborghini Huracan Performante, Mercedes AMG GTS Edition 1, Rolls Royce Dawn, Audi R8 Spyder & many more. Our commitment to customers who want to hire a Supercar, ensures that you will receive a first class experience, every time.